Rental rates are determined by your group size, whether you are staying overnight, and which activities you would like to experience. We are excited to have your group stay at Cross Bar X. The base cost to rent the facility is $15/person per night for groups over 30 people and $20/person per night for groups less than 30 people. 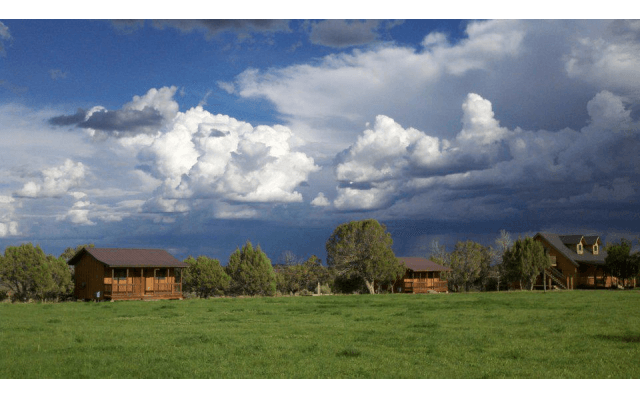 Overnight accommodation pricing applies to all lodge and cabin rentals. A $75 cleaning fee applies to all groups. Check in is no earlier than 3 pm, Check out is 11 am. Late check out will be subject to an additional charge of $50 per hour. Overnight use includes use of the CBX facilities, grounds, and activities. Additional activity fees apply to High Ropes (with zip line), Lake, and Tubing Hill. Day use includes use of the CBX facilities and grounds. 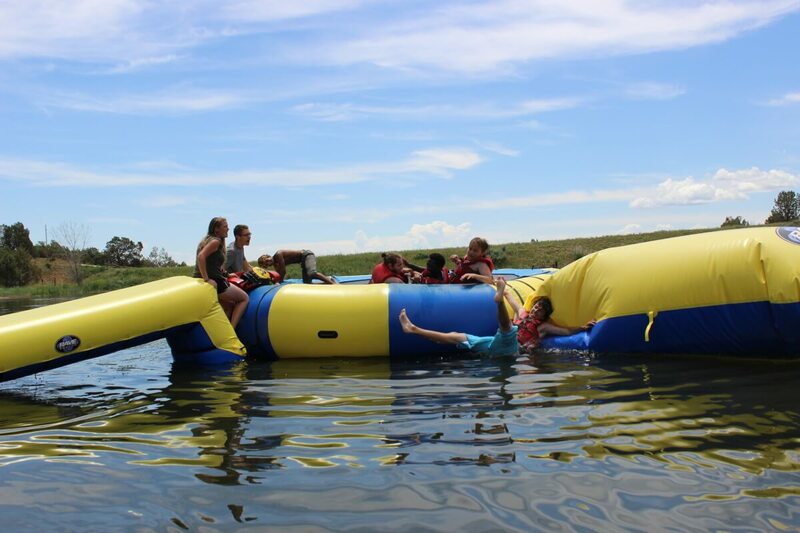 High Ropes (with zip line), Lake, and Tubing Hill activities are subject to additional fees. Cross Bar X has one of the longest tubing hill runs in Colorado! At 800′, our luge style run is an extreme experience for any participant! Rental includes commercial tubes and two CBX facilitators. Cross Bar X’s boasts a stocked, 3 acre, spring fed lake. 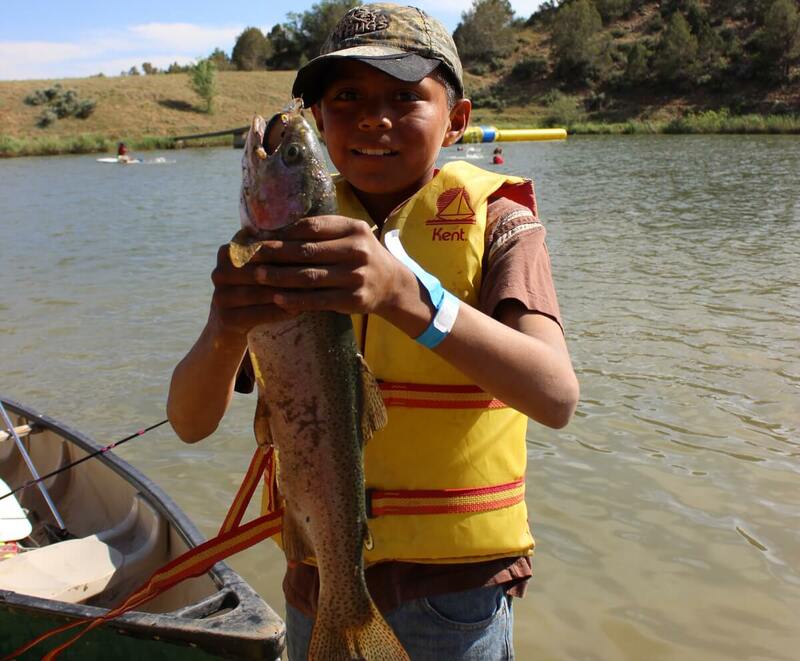 Recreation includes catch and release fishing, canoeing, swimming, kayaking, and row boating. 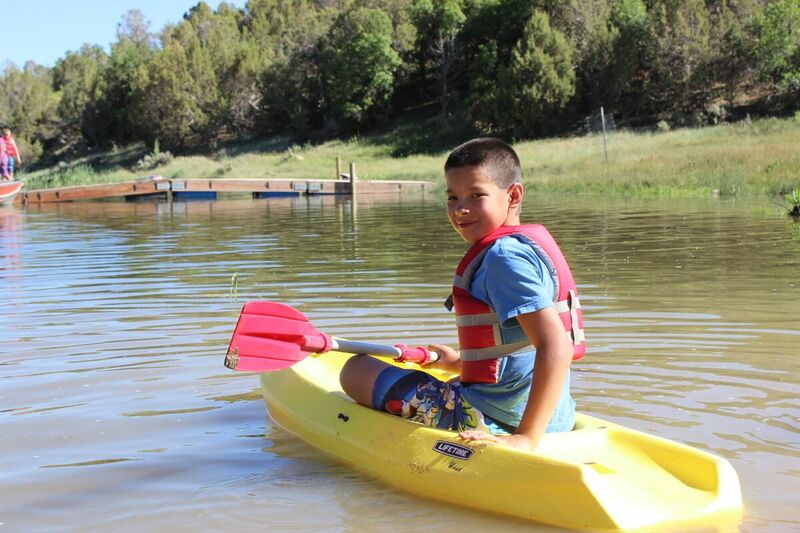 Rental includes all lake equipment and one lifeguard for every 10 participants. 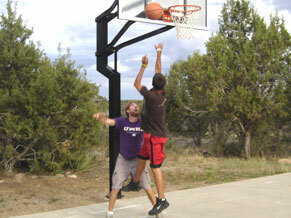 A 3/4 size outdoor basketball court is located next to the bunkhouse complete with court lines and adjustable hoops. Additionally, we have over an acre of grass located in front of cabins Peace and Joy. Perfect for playing games, sports, and building snow forts. Usage of these activities and grounds is included in any day use or overnight rental.